Nestle has been forced to recall some of its Kit Kat chocolate range after small pieces of plastic were found in products. The recall affects the Kit Kat Chunky Collection Giant Egg, the Kit Kat Chunky Hazelnut multipack and four Kit Kat Chunky variety bars – Caramel, Choc Fudge, Hazelnut and Peanut Butter. 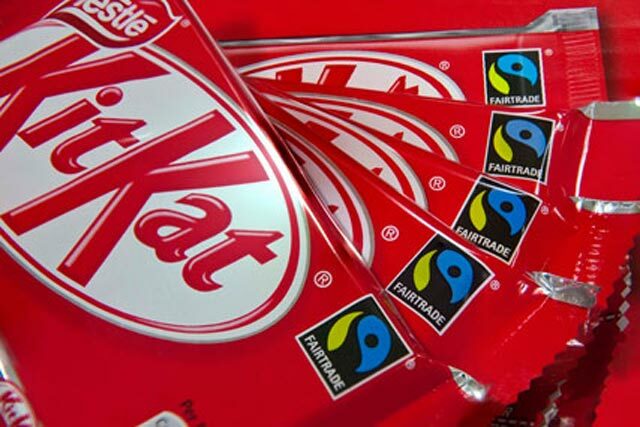 The affected products, one of Nestle’s top-selling brands, are predominantly sold in the UK. Nestle was forced to hurry out a statement, which said: "Seven consumers in the UK have told us they've found a piece of plastic in the product. So far, we have not received any other similar complaints, but to avoid any risk whatsoever to our consumers, we have decided to voluntarily recall the entire production of these four Kit Kat Chunky varieties and Kit Kat Chunky Collection Giant Egg manufactured from September 2012." Nestle warned people not to eat the products and to return them unopened for a full refund. Kit Kat’s Facebook and Twitter pages were hit by a string of enquires about the product recall from concerned consumers. Separately, Nestle-owned Yorkie have shrunk in size for the second time in three years. The bar has shrunk in size from 64.5g to 55g, resulting in Yorkie’s Facebook page being besieged by consumer outraged by the size reduction. A typical comment on Facebook read: "Shame on Yorkie for shrinking the bar sizes even more. It’s like a fun size bar now and I won’t buy it anymore."